The intercultural-historical seminar 2019 will take place from the 20th to the 27th October 2019. This years main topic will be "responsibility - EU, we and environment". So think about what you might contribute to it. We will have the debate club again, as well as our usual creative workshops :-) And: Contributions for the script / Script writers are welcome! We should receive the final approuvement for this years funding in May 2019. Georg will inform the responsible teachers, so that cheaper railway and flight tickets may be booked soon enough. This seminar is coming to an end and it has gone really fast. We have been in Marienthal for a week and I have the feeling that we have just been here for two or three days! But I think that this can only be a positive sensation because when you are having fun the time passes very quickly and when you are bored every minute feels like an hour. I have really enjoyed my week here in St. Marienthal and I would like to come back next year because this is the best experience you could have when you are a student because of the possibilities it offers and the people you can meet. For me the St. Marienthal seminar is my home. I could stay here for a year without any problem. I haven’t missed my city or my regular timetable and this is because I am really enjoying my time here. People usually say that the first impression -about somebody or something- is the important one. I am not completely sure that this is always the case, but I believe that it does have a strong influence in your later attitude towards people or places. As a school this is our second year in the International Seminar, and it is my first time both in the seminar and in St. Marienthal. And I must say that my first impression could not have been better. During the last few months, my colleague had provided me with information about the seminar. However, both the location and the development of the seminar have been more engaging than I had expected. From the very first night the students got involved and became part of a big family within which they are building new relationships, growing and learning. Coming out of their own world helps them to understand other people’s problems -which may not be so different from their own- and to consider other ways of doing things. The initial games, the debate and the workshops have all helped them mix and work with students from quite different backgrounds, languages and expectations. It is a pleasure to watch them during the workshops, planning, discussing ideas, negotiating, in order to achieve a common outcome. And it is even more impressive to see them tackle the complex topic which they studied and have been debating. As a language teacher, I think languages can sometimes build up walls. In the seminar, the students are obviously jumping over them and learning to communicate in another language, turning the barrier into a bridge. And last, but not least, the social part of the programme, which allows them to strengthen the relationship with their mates. Music, evening conversations, … are an enjoyable and fruitful way to get to know and value other people. During this week, Marienthal also has an important part to play: the beauty of the setting, the light and the colours, the peace and isolation facilitate the contact amongst students. Definitely, an intense and productive week which will have an impact on students’ life and on their attitude as European citizens. - How have you been feeling on the first days here? - I have been feeling very good. The people are really nice and I have made a lot of friends. - What workshop did you choose? Why? - I chose the short film workshop, because I really like the creative side of movies and the different things that go into editing and putting the film together from scratch. - Do you like to work in a group? - Yes, I do but in this workshop my job is more individual than in other workshops. - Are you happy that you have come here? - Of course, very much, because it is a new experience, I have made a lot of friends and I am practising English. - Which is the most interesting country participating in the project? - I think we are interesting ( referring to Spain) ( laugh ). Seriously I would say -Sweden because they are very different from us. - Is there anything about the seminar that you don't like? - That we eat too early and I'm not used to it. - Which is the best part of the day? - The night, without any doubt. The party, the music, and having fun all together. 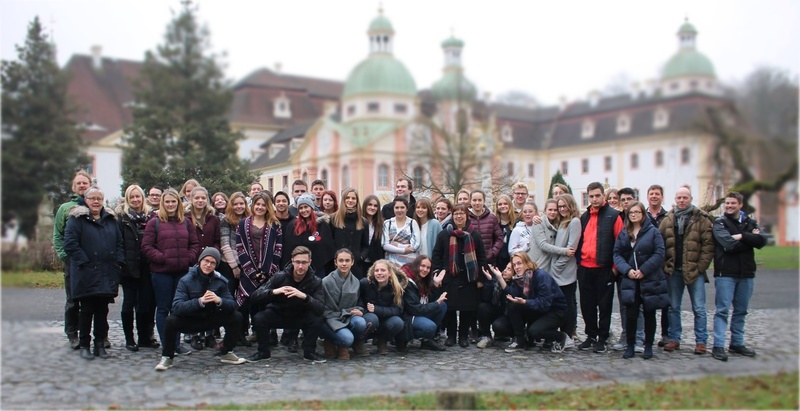 On the first day of this year seminar representatives of the students from 7 countries who arrived here for the annual international workshop took part in the debate over the weaknesses and strengths of the European Union membership. Having thoroughly prepared and considered the pro and against arguments their astonished us with impressive and substantive speeches. “- The EU means unification of its people. - The EU means political, economical and social future but only for the countries that are already rich and stable. - The EU is killing national identity and forcing its members to trade national heritage for economical existence. - The EU does not leave enough space for the member countries’ own decisions. We are people from seven countries working on an objective. Is this a good idea? Wouldn't it be better to have each country work on their own project alone? Everyone that was interviewed or asked said that working in mixed groups is a great idea. Today we have visited the spots workshop and the band and they looked great working with their workshopmates, who are from different parts of Europe. If there were only people from the same country, there would be lots of advantages as they would understand each other much better and they would reach agreements more easily. But there would also be disadvantages, because it would be more difficult to present different points of view, opinions and ideas. And this is much more important than speaking the same language fluently. If we ask these two workshops, I'm sure they will prefer to continue with the mixed groups rather than work with people from their own country. We've warmed up and now we have to start the race, but not alone, we have to hold hands with the people we have just met, because this is the only way to get to the finish line successfully. Another year, another intercultural seminar in Marienthal. This is the 25th time students from different Europe countries meet here. This year there are 57 students from 7 countries here. Every year students work in mixed groups to create something related to the seminars theme, which changes throughout the years and this year the theme is “Europe and EU – Don’t live it just through”. This year students have a chance to choose in which of the 6 workshops they want to work in. There are actors, reporters, photo, spots, music and short film workshops. During the week students can learn and do things many of them can’t do at home, like making their own movies with professional equipment or learning how to take and edit the best pictures not only with phones, but with professional cameras, too. So this week students are working together with people they have never met before to create something original and to send a message to everyone, who is going to see their work. 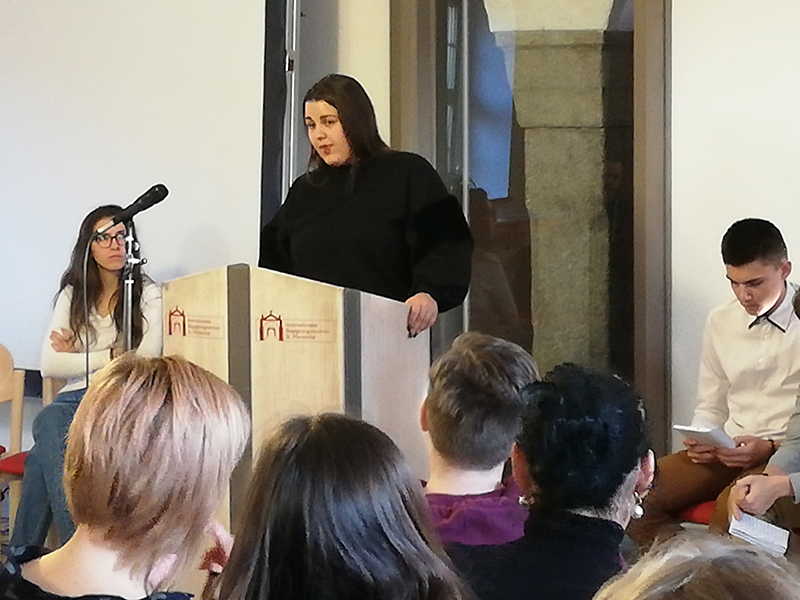 Also this year, for the first time, the seminar had a debate about the European Union and its strengths and weaknesses, which had great arguments from both sides. Every year the seminar has a positive impact on the lives of students who come here. Some make new friends, some get inspired to make their own projects at home or find the courage to go to study abroad and to step out of their comfort zone to achieve something greater. And this year we wish, that students are just as open, friendly and creative as the previous years and will go home with nothing but great memories, stories and impressions of other cultures.